As a little girl I dreamed of being a ballerina … mostly because of the outfits! Tulle, wrap tops, and lace up slippers … heavenly! 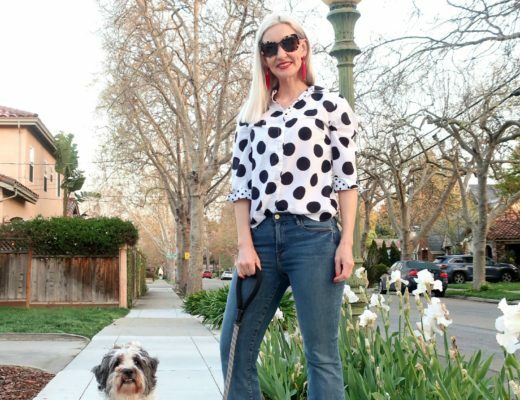 I’ve always loved the look of chic little ballet flats, but I never found them super comfortable … well, not until Jambu made them! 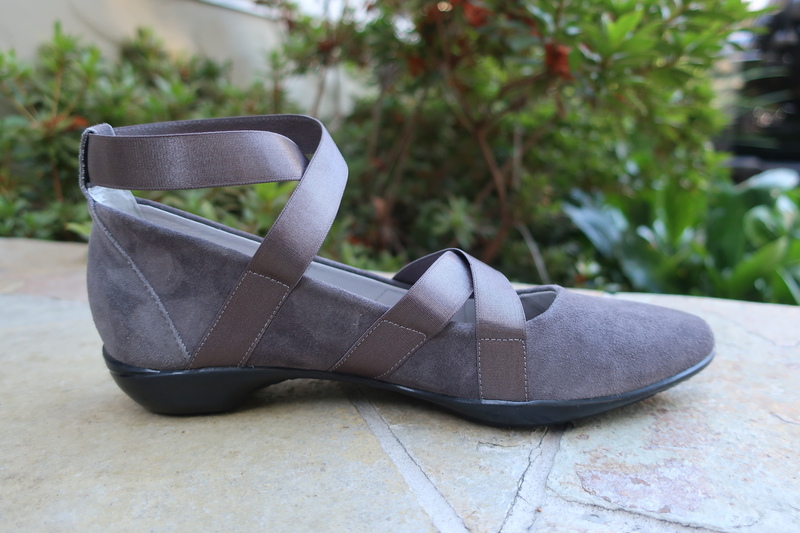 Jambu’s new fall collection includes cute and comfortable flats for women, including these fabulous little suede and satin ballet flats that will keep your dancing feet in comfort all day long! 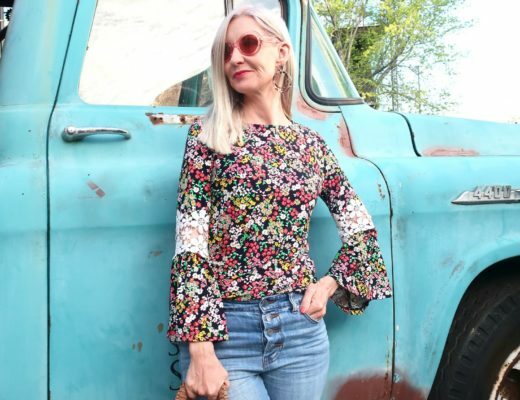 This post is a collaboration with Jambu, which is a brand my regular readers already know that I adore. Available in beautiful black, charcoal, and burgundy suede, the Rumson Too will look adorable with ankle pants, skirts, and dresses. The memory foam foot pad will keep you super comfortable and the “all terra” traction will keep you sure footed as well. This is the perfect shoe for a teacher or anyone who is on their feet all day. Best news of all: Fashion Should Be Fun readers can get 20% off all Jambu.com purchases with the code DAWNLUCY18 … now through 12/31. Now how fab is that?! 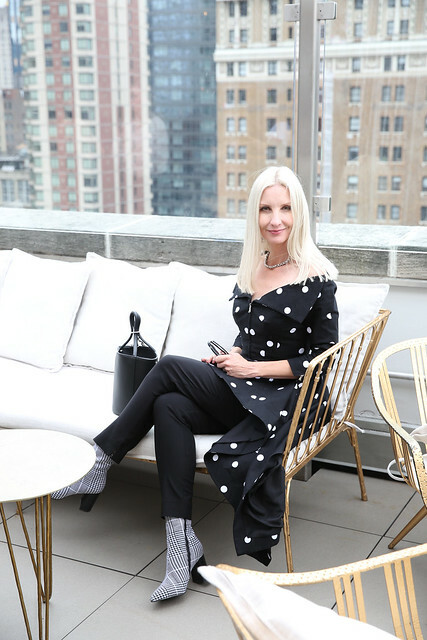 Don’t forget to link up, Dolls, and of course don’t forget to check out the new Jambu collection for fall. 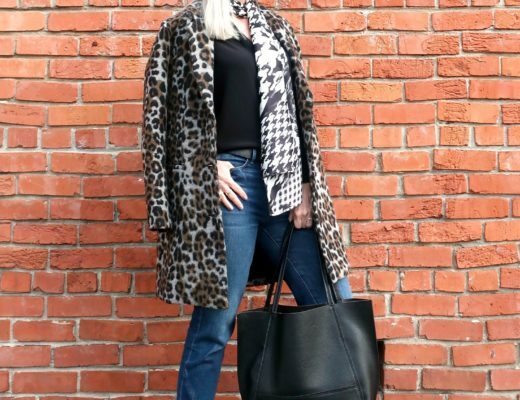 You know I’ll be featuring other comfortable, wearable, stylish picks from them again soon! Jambu shoes are so well made and so comfortable! These look great with this dress! Nancy just wore her pair like that today—-they are SO adorable!! Lovely ballerina’s but that dress is fabulous! Have a great weekend! It seems that tartan print is coming back strongly as fall has started! Very nice ballerinas as well! These shoes look so comfy and dying over this dress! Thanks for the link up! Such a perfect dress for fall and winter! I have to agree with you about ballet flats not being the most comfortable. These look like a great option! 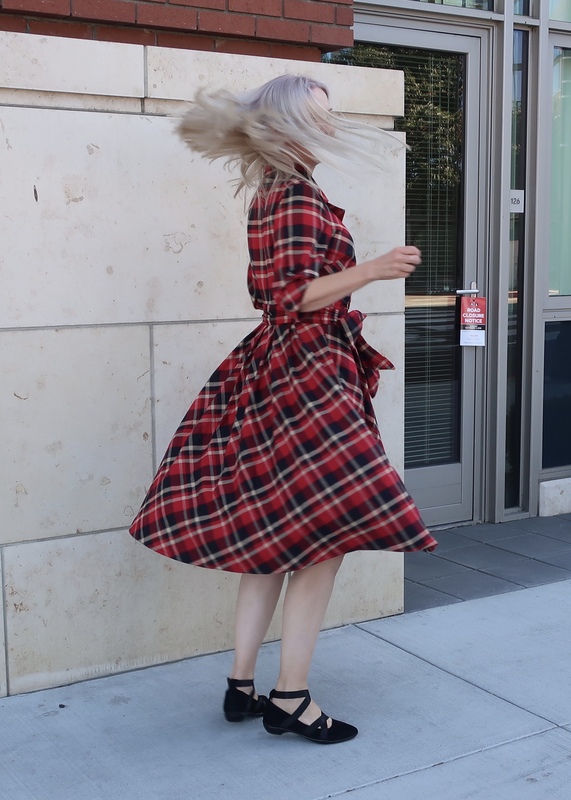 I love the fall vibes of this look—the red plaid and ballet-inspired flats are just so good together! Those flats are really cute. They’re the perfect complement to the dress. Dawn, this dress is life! Oh I need one like it! 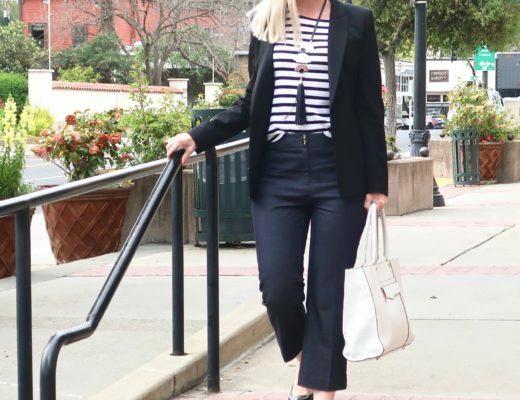 And the ballet flats are the perfect shoe for it….except I might opt for combat boots…just because I am much more of a combat boot girl than a ballerina type girl. But wow, you look fabulous! Yessss …. combat boots would be SO fun with this dress! Love that idea,Shelbee! I’m a little late to the party due to a crazy week, but I had to tell how much I love this outfit! The dress is SO cute. Looks like a great resource with all the customization. And since I am all about comfy shoes, I will check those out, too! Thanks for sharing and happy weekend. Dawn those shoes look so comfy, and that dress is a fabulous fall find! Thank you for the link up. That plaid dress is a tantalizing sight for the eyes! I keep wondering if I could pull it off. Dang hot florida! I love the ballet flats that you styled the stress with. Nicely done!